Kindergarten Numbers Worksheets - Learning numbers is a fun activity. Learning numbers is a fun activity. Kids can improve their number recognition skills through this series of free activity worksheets for kindergarten. They can trace, count, write, and color numbers from one to ten in a variety of cute worksheets. You can download, print, or use them online. Teaching to read and write numbers can be an arduous task for teachers. Most children learn to count from 1 to 20 first and then move on to higher numbers. Our kindergarten numbers worksheets are designed to make learning fun with appealing images and numbers that students can color. 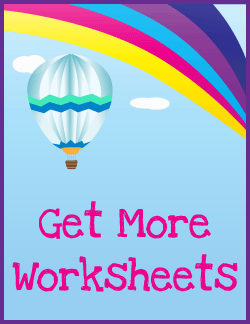 Our free numbers worksheets are great for everybody! Kindergartners, teachers, and parents who homeschool their kids can print, download, or use the free kindergarten math worksheets online. Children who have an iPad or other tablet device can actually draw on the worksheets with their fingers. When creating these free kindergarten worksheets, we tried to make the learning material both fun and educational. 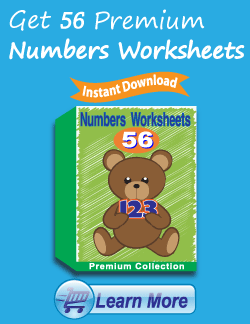 We hope that these numbers math worksheets serve as good supplemental learning tools for parents and teachers.